Instead of a Recipe Sunday post we are going to put up a visual tour of our Thanksgiving along with links to the recipes/websites that we used. 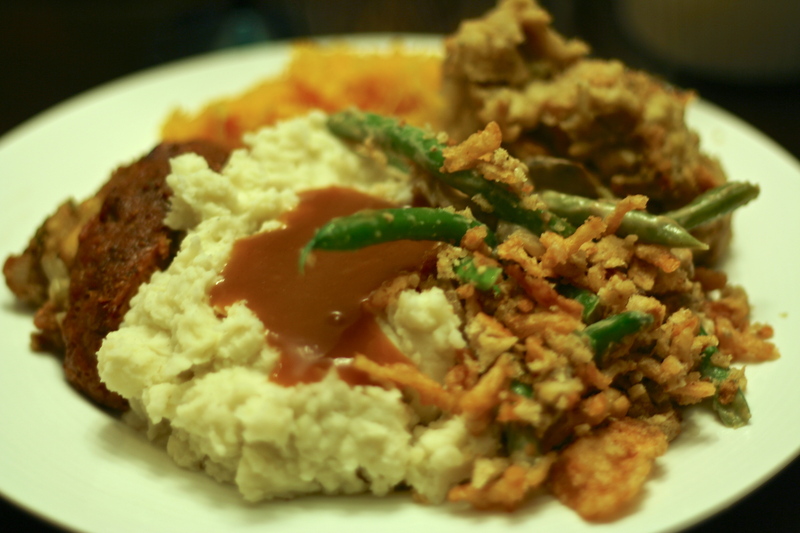 Greenbean Casserole – This comes from America’s Test Kitchen, famously veganized by Katie’s sister and brother-in-law. Sub in: veg stock, cashew cream, and Earth Balance. 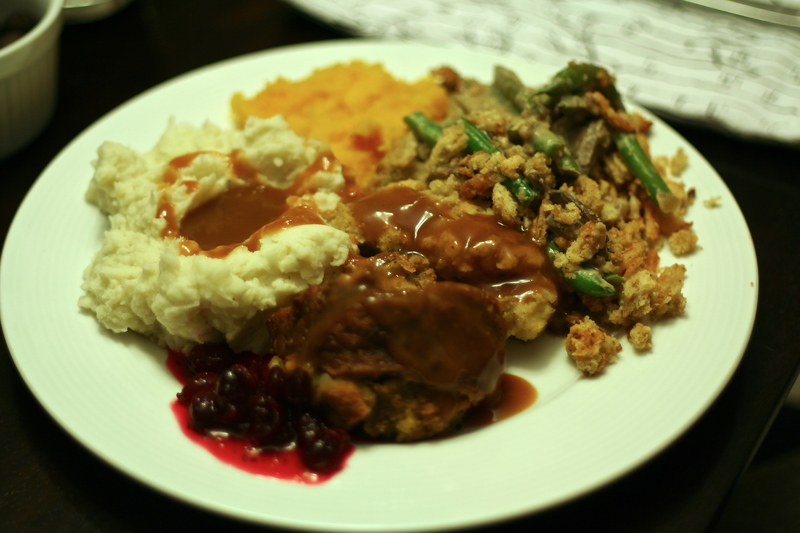 Maida’s Super Secret Stuffing – Sorry folks, but no recipe for this one. However, we did use Lightlife Gimme Lean Sausage. Seitan “Turkey” Roll – You can find this recipe here. Ok, so in all honesty this one was a flop. This is not to criticize the author of the original recipe, it just didn’t work for us. Ours never really set and it was really soft and never firmed up. 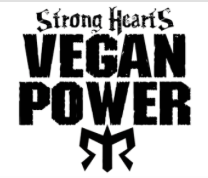 We are still in search of the perfect seitan recipe. 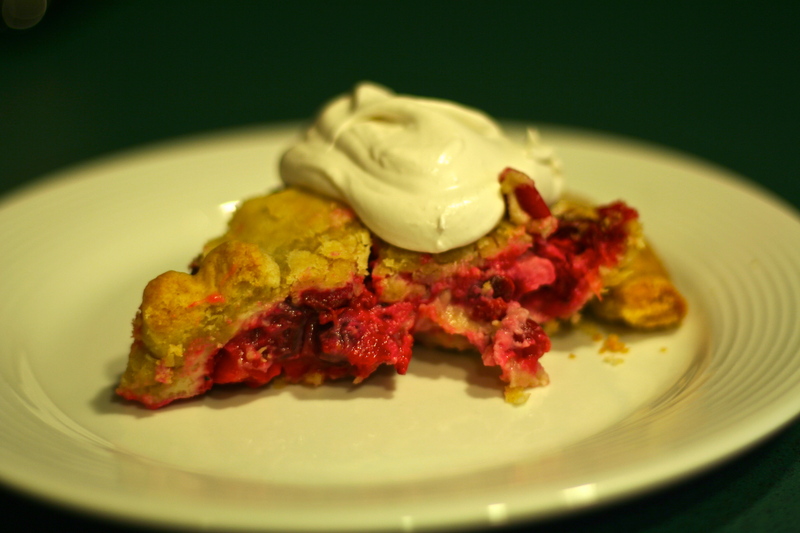 Aunt Beth’s Cranberry Pie with Homemade Coconut Whipped Cream– This is my Aunt’s cranberry pie that we veganized. The recipe can be found here. You can find a step-by-step recipe for the whipped cream here. Chewy Chocolate Raspberry Cookies – These are straight up Veganomicon genius. We have the recipe up here. The Final Product – Besides the above recipes dinner included: CSA butternut squash, mashed potatoes (made extra awesome with cashew cream), whole-cranberry sauce, rolls, and Hain brand Brown Gravy. Oh no! I’m sorry it didn’t turn out. Seitan needs a lot of cook time that’s why you steam and bake. If too much water gets in while steaming, the stuffing is too moist or the baking time isn’t long enough seitan and can get gummy or not set. Thanks for trying it any way, sometimes make a smaller potion works out better and I know it’s a huge recipe. No worries Amy. We wound up leaving it in the oven for almost another 40 minutes. I think there was too much moisture. Reheated it was tasty. The idea of the wrapped log is really cool, and I think we will try it again maybe smaller.